Dusica (Debbie) Popovski is a licensed multi-line insurance agent. She’s been in the insurance business for over 23 and has a strong commitment to excellence in customer service and depth of experience in the insurance industry protecting clients’ interests. 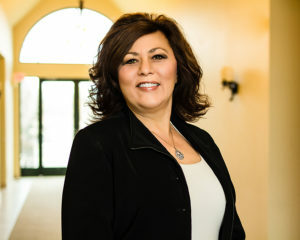 Dusica’s exceptionally loyal clientele, personal referrals and repeat business have formed the foundation of her career. As a longtime member of this community, she appreciates all that the local communities have to offer and feels blessed to have met so many caring and wonderful people. Living in Michigan for most of her life she enjoys the seasons, culture and many outdoor activities available to us including traveling. Dusica enjoys spending time with her loving husband of almost 30 years, her 3 wonderful children and family and her 3 little dogs. Three words you can count on from Dusica: love, hard work and commitment.